Where Do I Find My First Freelance Writing Clients? 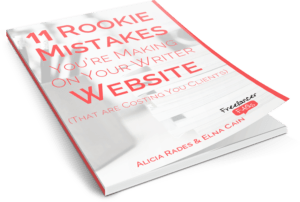 Have you just started as a freelance writer? Then the thought of landing your first client probably chills you to the bone. Do you have to work for free to get experience? What do you do when you get in contact with them? We’re going to focus on your first question. (About the second one, no, you don’t have to work for free.) If you’re not sure where to start, here are some of the best options for landing your first freelance writing client. A good place to start is by talking with people you already know. Does your friend own a business? Perhaps s/he is in need of marketing copy. Better yet, tap into your network and get them to spread the word of your writing services. Maybe your mom’s friend’s brother’s company is looking to hire a freelancer to write content for their newsletter or to manage their blog content. You won’t always already know someone who needs a writer, but you might be surprised to find that someone you know (or a friend of a friend) knows about a paid writing position that will help you break into the field of freelance writing. Cold calling–or contacting businesses on an unsolicited basis to sell your services–has been a successful form of marketing for a lot of writers. Start by seeking out potential clients in your area. The benefit here is that you already have something in common rather than trying to contact a big corporation across the country. Even small businesses need writers for their marketing material, so it can be worth contacting them to see if you can help them. But trying to land local clients isn’t all about spending endless hours on the phone hoping that someone is looking for a writer. Instead, it can be as simple as developing your own marketing material, such as business cards, and sharing those when you get a chance. While finding clients through job ads can be competitive since tons of other writers are applying to the same position, job ads easily connect you to people who are looking for writers. If you’re looking for clients via the methods above, you may market your services to 100 people or more before you find a single person looking for a writer. Even then there’s no guarantee that they’ll hire you. So job boards can have their advantages since they put you in direct contact with your target market. If you find a publication–whether it’s a blog, magazine, or newspaper–that accepts guest contributions, it’s worth pitching your idea. The good news? Publications like this like to see strong ideas, so a lot of times you can land a paid gig this way without any experience as long as you write a good pitch. If you’re not sure where to start, download Sophie Lizard’s Ultimate List of Better Paid Blogging Gigs. This handy resource makes it easy to weed through the well-paid blogging gigs across the Internet. Social networks can be a gold mine for finding freelance writing gigs if you utilize them properly. A good place to start is on LinkedIn. Optimize your profile for attracting clients, such as changing your tagline to something like “Freelance Blogger for Hire” and adding relevant samples or experience. You can also use LinkedIn to search job ads. Many writers have also proven that Twitter can be an effective method of landing clients. Start by following people within your target group. Network with them so that when they need a freelance writer, you’re there first. Use the search function or hashtags to see if anyone has tweeted about a freelance writing job. Tweet about your own services. While Facebook may not be the best method of landing clients, I personally found a client via a Facebook group. All I did was mention that I was looking for private clients, and someone contacted me immediately! You can do the same thing with Google+ groups. When seeking out groups to join, consider where your target audience would hang out, and then participate in those groups. Bonus tip: Instead of blatantly marketing your services, contribute to the discussion by asking a relevant question that ties your freelancing to the group. You’ll come off more friendly and approachable that way. My biggest tip for using social media to land clients is to use it as a networking tool rather than a direct sales channel. Follow your target audience, get in on forums that they frequent, and contribute to the discussion. It can certainly take a lot of work to build your network, and this may not lead to your first client, but it can pay off as you grow your business. Listing your services in freelance directories can also help you land clients. I’ve never had a personal success through this, but hey, it doesn’t hurt to spread the word, right? You can start at places like All Indie Writers writer directory, or you can set up a profile on places like Consultants.com. Otherwise, simply creating an account on sites like PeoplePerHour.com can help clients find you. Work for content agencies. Most content agencies aren’t worth going anywhere near. However, I do mention this because I know of writers who have found content agencies that work well for them. I would not recommend touching sites that pay writers $0.02 per word (or about that), but if you find one that treats you well, pays decent, and you enjoy working for, then by all means, go for it! Get them through referrals. Being referred to by a prior client or a fellow writer is not something you can control, which is why I didn’t list it above. You can certainly get referred by friends and family members, but in my experience, the best referrals have come through other writers. Yes, not past clients. Other writers. And I’ve referred other writers to my own prospects and clients. The best piece of advice I can give here is that while you’re building your freelancing business, you should also be building your network. When you’re seeking out your first clients, avoid sticking to only one of these methods; try to incorporate most of them into your daily marketing, and you should see your first client shortly. Been trying these techniques and they aren’t working for you? Post your story in the comment section, and we’ll help steer you in the right direction.